Corrosion can be defined as the gradual destruction of materials by chemical reaction with their environment. According to the United States Cost of Corrosion Study, produced by NACE International, a leading authority on corrosion engineering and control, corrosion costs the US oil and gas exploration and production industry US$1.4 billion a year. To put the cost of corrosion to the offshore industry in closer perspective, as far back as 2000, retrospective bolt preservation on each of its North Sea assets accounted for costs of between £150,000 and £250,000. For oil and gas producing operations, there is no escaping the challenge of corrosion; steel is susceptible to corrosion and the harsher the environment, the more accelerated the corrosion process becomes. As offshore exploration moves into deeper and more hostile waters, so the potential impact of corrosion increases. The greater difficulty maintaining components in increasingly remote and challenging environments requires the need for extended component life. Components that have enhanced resistance to the effects of corrosion are now essential as they increase service life and reduce the need for costly maintenance. Developments within the industry, aimed at reducing offshore development costs, involve reduction in platform weight and increasing use of satellite wells and subsea manifolds, all of which require specific attention to corrosion prevention. Any surface deterioration on the metal products used in key applications can lead to premature and often sudden failure. In addition to corrosion, wear is another factor, typically from abrasion and impact, and while each is damaging enough on their own, they can combine to cause aggressive damage – pitting, roughening, grooves, dents, cavitation and cracking to name but a few. Individually, corrosion and wear are problematic; combined the sum can be greater than the parts. In offshore oilfields, metal structures and components are under constant attack from a variety of sources from drilling muds to water and carbon dioxide to acid. 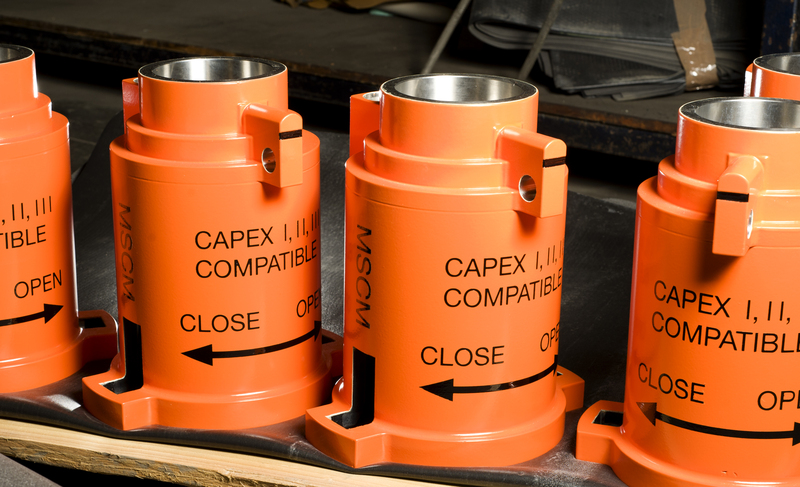 Much metal loss in oilfield casings is caused by crevice corrosion. Although corrosion will initially be uniform across the surface area of the metal, in time it will accelerate in any small crevice in the metal. Crevice corrosion often starts at drill-point joints, tubing or casing collars. Pitting equally causes vulnerability when a small scratch, impurity or deformity in the metal can start the corrosion process. Corrosion that starts with pitting can ultimately progress into cracks in the metal, which can be accelerated by tensile stress, resulting in stress corrosion. Corrosion fatigue, when metals are subjected to alternating stresses in a corrosive environment, can affect all types of welded connections on drill ships, drilling and production rigs and platforms. With an issue as important in terms of both cost and productivity, we cannot afford to think in terms of rectification. We are, instead, looking at surface engineering – the treatment of material surfaces to change their properties or characteristics to achieve improvements in performance - eliminating corrosion by design. When considering offshore and sub-sea components, engineered surface coating solutions can be employed to achieve, amongst other things, improved corrosion and wear resistance. As such, it is a discipline that should be applied throughout the design, specification and manufacturing process as an integral part of component development to ensure that the specific needs of the operational environment are addressed. Although corrosion is inevitable, it can be inhibited by the application of specialist engineered coating solutions to extend the service life of components and control maintenance costs. Steps taken at the product finishing stage will minimise the risk and effects of corrosion and so optimise performance and longevity. Although there are a number of options, including changing the environment by the use of inhibitors, cathodic and anodic protection – even using more highly alloyed specialist stainless steels – the application of corrosion-resistant coatings is perhaps the most widely used way of protecting steel. The choice of coatings includes organic, metallic or inorganic and there is a wide variety to choose from. 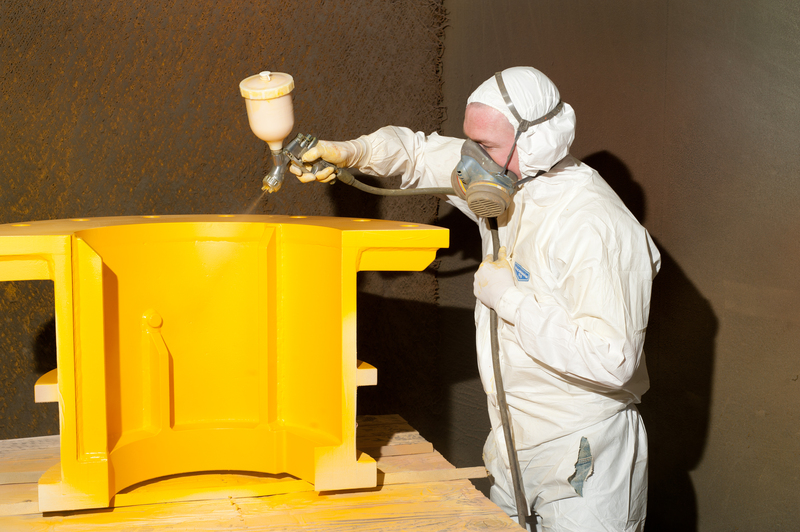 Specialist engineered coating solutions can address issues of corrosion, gall resistance or fouling problems. Applications typically include Christmas trees, subsea connectors and seals, riser systems, clamps, seat, seals and valves, hangers, threaded components such as nuts and bolts, as well as manifolds and valve bodies. Thermal spray coatings exhibit high resistance to corrosion and wear in extreme applications and are increasingly being used in the oil and gas industry. The use of thermal spray to apply coatings, such as high velocity oxy fuel (HVOF), is one of the most commercially viable and allows the control of various parameters including powder particle velocity and temperature, which influence coating properties such as residual stress, bond coat strength and microstructure. Another coating system used to provide corrosion resistance, often to offshore structures on-site, is wire arc spraying. Wire-arc thermal sprays provide a dense and strong metal coating and they are an excellent choice for protection against corrosion. Galvanically active coatings such as zinc and aluminium can be applied using the wire-arc process. The wire-arc process involves two wires that are driven into an electric arc to form molten particles of spray and are forced out of the gun by compressed air onto the substrate. The process is known as a 'cold' procedure, as the substrate temperature can be kept low throughout. Wire-arc metal spraying is also used to apply non-slip coatings to protect both infrastructure and employees and is typically applied to walkways and tread plates. Thermal spray aluminium (TSA) is also applied using a wire-arc spray gun. Fluoropolymer coatings are a blend of high performance resins and fluoropolymer lubricants, such as polytetrafluoroethylene (PTFE). This type of coating offers a superior dry film lubricant that produces a smooth, hard, slick surface and provides excellent corrosion and chemical resistance, often used to meet the environmental demands within the offshore oil and gas industry. Fasteners are particularly suited to PTFE coating, with its ability to provide a combination of high corrosion resistance combined with accurate torque loadings. Well head equipment operating under extreme conditions can also take advantage of PTFE high performance coatings, both for corrosion resistance and its load bearing and release properties. Armourcote is an engineered coating solution developed Surface Technology to inhibit corrosion and provide surface release for marine equipment. The brand was originally established with the introduction of proprietary composite coating systems developed to overcome the inherent softness of the materials used for surface release and friction control applications. These composites were first developed using fluorocarbon and fluoropolymer coatings and have subsequently been extended to include high load bearing, high temperature precision deposited dry film lubricants. Benefits include improve wear resistance and lower friction, leading to improved abrasion resistance. Loads are taken up by the reinforcement peaks and any wear and abrasion that occurs exposes more of the fluoropolymer coating. The peaks of reinforcement are continuously smeared with the coating, which results in a smooth wear and abrasion-resistant, low-friction finish. 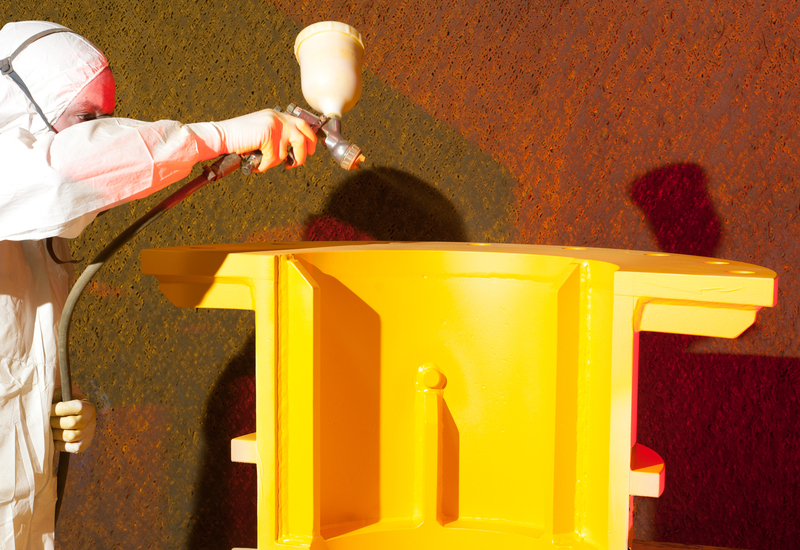 Where greater levels of corrosion protection are necessary for operations in hostile and demanding environments advanced multi coat, anti-corrosion paint systems are often specified, which complement other protective surface coatings to overcome these serious situations. The anti-corrosive qualities of epoxy paint systems make them suitable for providing marine barrier protection on sub-sea equipment that will be permanently immersed or in the splash-zone. Epoxy systems are also resistant to chemical attack, making them useful on equipment such as pipelines and chemical tanks. Corrosion detection: what lies beneath?